Germany’s Max Nagl bounced back from a crash in the closing stages of Sunday’s MX1 race one at Mallory Park to finally get the upper hand over Italy’s in the second outing. 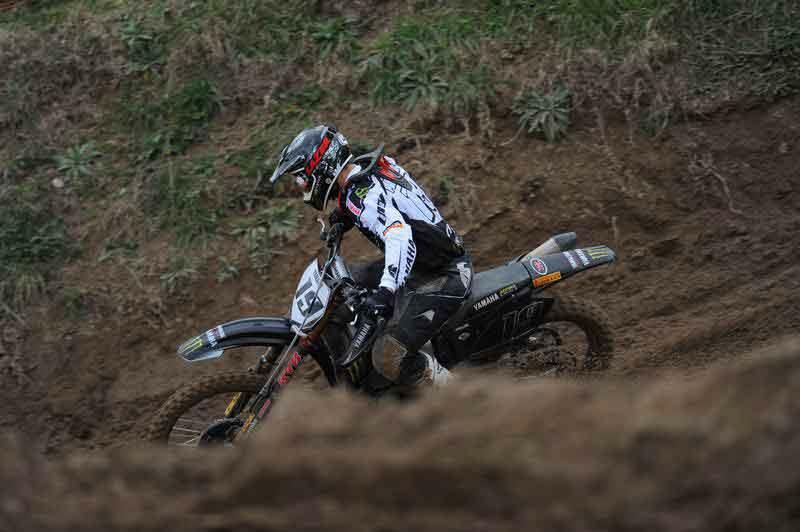 But he couldn’t stop the Italian from taking the overall MX1 victory at this weekend’s British GP. Yamaha’s Philipaerts took advantage of Nagl’s error on lap 15 to claim the race one victory, while the German remounted and settled for fourth. Britain’s Honda-mounted Bradley Anderson was running in fifth for much of the first race, battling with Philipaert’s Monster Energy Yamaha team-mate New Zealander Josh Coppins, but eventually faded to twelfth. CAS Honda’s Billy Mackenzie finished a lowly 32nd in race one, crashing out on lap nine. Fellow Brits Carl Nunn and Jason Doughan (CCM) finished 14th and 15th respectively. Race two was a display of utter dominance by Red Bull factory KTM’s Nagl, who ran at the head of the field from beginning to end. Mackenzie flew the flag for the home faithful, eventually finishing the second MX1 race in fifth position, after running in third for much of the first half of the 20-lap outing. Nunn finished race two in 10th, while Anderson had to settle for his second 12th position of the day.